The Israeli occupation government has put forth a plan for a new neighborhood that would expand the settlement of Efrat toward Bethlehem, Haaretz paper reported Tuesday. The paper reported, according to Al Ray, that the government allocated about 1,200 dunams (300 acres) for the plan. The neighborhood is expected to expand the built-up area in the Gush Etzion settlement bloc up to the southern outskirts of the Palestinian city, in a manner that would surround Bethlehem with settlements. Israeli Civil Administration allocated the area to the Housing Ministry at the end of last month, a step that will enable the beginning of the active planning of the neighborhood called Givat Eitam (Eitam Hill). The hill is in Efrat’s area of jurisdiction, but on the eastern side of the separation barrier. The planning license is scheduled to take effect within 30 days from the date of publication of the announcement on December 26. Palestinian Liberation Organization, National Bureau for Defending Land stated that Israeli occupation government accelerate the process of imposing new facts on the ground, ahead of Knesset elections, by processing settlement plans. The weekly report of the Bureau reported that the Israeli occupation government puts forth, as a part of electoral battle, new plans to build housing settlement units near Efrat settlement southern Bethlehem. 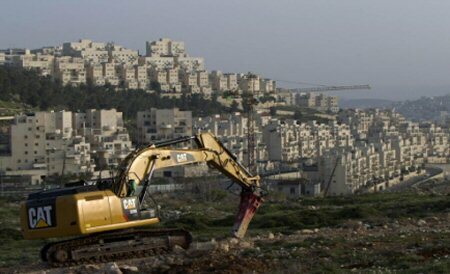 It seeks to build about 2,500 units on Khirbet al-Nahla lands. The project, which was called “I2”, is an attempt to prevent any development or expansion in the city. Israeli civil administration allowed Israeli settlers to establish a farm land at in Al-Khalla, in addition to publishing notices, on its website, that confirms plan to build hundreds of housing units on 1,182 dunums of land in the area. 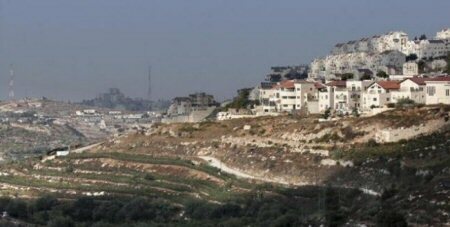 The report said that Israeli army expropriate 1,700 dunams of al-Kherba in 2009 to expand Gush Etzion settlement bloc. A petition against the planned construction on the site was submitted to the High Court of Justice by Peace Now. At the end of last month the state informed the High Court that an important stage had been carried out for advancing construction at the site: The area was allocated to the Housing Ministry for planning. After the conclusion of the allocation process, which takes a short time, the actual planning of a residential neighborhood at the site will begin.